The Ducks Ponds on McCarrs Creek - This is a "gold standard" creek for the Streamwatch people in Pittwater. Local StreamWatch volunteers have contacted Pittwater Online News this week with the worrying news that the Program may be in jeopardy beyond June. In a letter to volunteers Australian Museum’s manager of Digital Collections and Citizen Science, Paul Flemon said the museum conducted a review of its Citizen Science programs which led to discussions with Sydney Water as to the role of Streamwatch moving forward. “With significant improvement in waterway health over the past three decades and the predicted population growth over the next 20 years, these discussions led both the Australian Museum and Sydney Water to the conclusion that it is time for the program to evolve and look to the future,” he said. “To do this the Museum believes the program will be best served by a new organisation, focused on waterways, taking the lead on Streamwatch. Sydney Water has committed to continue its funding until June 2019. It is believed the Steamwatch program costs about $100,000 a year to run. The Streamwatch is a Citizen Science program which started in 1990, covering the Sydney and Blue Mountains Region. Over 200 trained volunteers in 53 groups monitor around 160 sites. 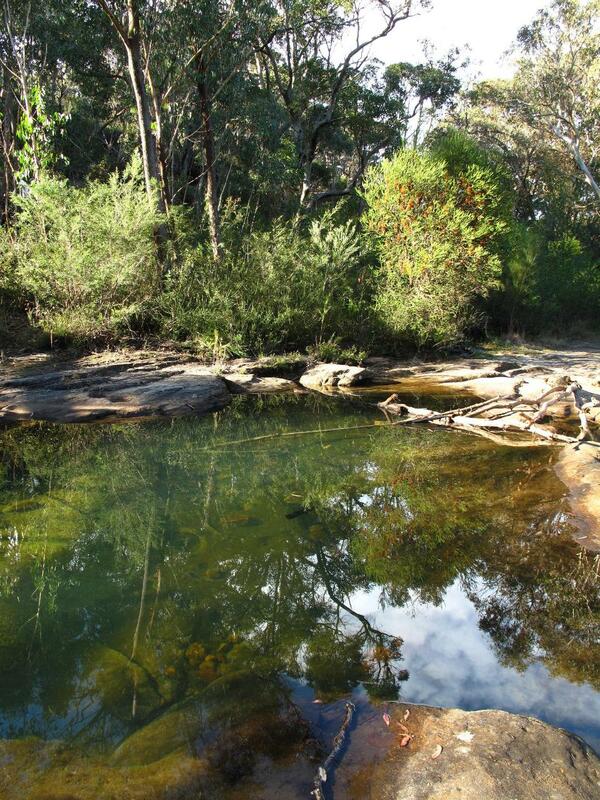 Streamwatch monitors freshwater creeks. Sites are sampled each month and includes, a general observation of the site, water temperature, pH, turbidity, tests for dissolved oxygen and phosphates. Because the volunteers are regular visitors to the site and they are aware of any changes that take place, good or bad and the appropriate action can be taken. Streamwatch data spans nearly 30 years and is available by request to Streamwatch. Streamwatch sites can be viewed on the webpage https://www.streamwatch.org.au/. Twice a year, sites are sampled as part of The National Waterbug Blitz supported by The Waterbug App for aquatic macroinvertebrates (waterbugs) these are good indicators of ecosystem health. The presence of the nymphs of Ephemeroptera (Mayflies), Plectopera (Stonefies) and Tricoptera (Caddis Flies) indicate very good quality water. Whereas Odonata (Dragonflies and Damselflies) Coleoptera (Beetle larvae) Diptera (Flies) and Hemiptera (true Bugs) can tolerate poorer quality water. The data from these tests show long term regional trends, some good where vegetation restoration has occurred and the reduction of phosphate levels has dropped since the removal of phosphates from detergents, some not so good like the reduced water quality after urban development and the use of concrete to line creeks. Looking to the future, Streamwatch can help monitor the effect of urban development, climate change and the presence of invasive species. There are 4 active groups monitoring 8 sites. Never Fail Falls at Terry Hills, Kedron Reserve, Katandra Reserve, Wirreanda Creek, McCarrs Creek, 2 sites on Mullet Creek and Careel Creek Avalon. Volunteers in Pittwater and across Sydney are concerned if the program lapses pollutants entering these waterways will not be known about or monitored and improvements in the areas adjacent and the water quality will not occur. An Australian Museum spokesperson has said the museum is committed to identifying a new organisation to take over operation of the project by July 2019. Why does the Berejiklian government say the health of our waterways is critical but cause the Sydney Streamwatch Program to close in June 2019? Streamwatch is an incredibly cost effective program funded by Sydney Water since 1990 and managed by the Australian Museum since 2013. The EPA and other government agencies face many challenges in ensuring our waterways and beaches are clean and this iconic citizen science program strengthens their work. Please tell Premier Berejiklian that Streamwatch must continue with a bipartisan commitment to ongoing funding from all political parties. The Australian Museum will not be able to continue with the project without funding. In addition, Streamwatch is no longer a strategic long-term fit for the Australian Museum given the museum is not involved in water quality issues and is shifting towards hosting larger exhibitions and more in-house education activities. In July 2018 NSW Minister for the Arts Don Harwin and Treasurer Dominic Perrottet announced the Australian Museum will receive $50 million to expand its touring exhibition halls. To date no new home for the Streamwatch program has been found.